Operation Watchtower (OWT) was the first “historical study” published by MMP, although the only things that distinguish an HS from an HASL are the inclusion of geomorphic map scenarios as well as historical map scenarios and the inclusion of a historical overview. OWT is MMP’s second historical module featuring the US Marine Corps, this time at Guadalcanal in the fighting for Edson’s Ridge (though its title isn’t very evocative). Operation Watchtower was much anticipated by PTO enthusiasts who wanted more jungle fighting (as opposed to the beaches and palm trees of Blood Reef: Tarawa). 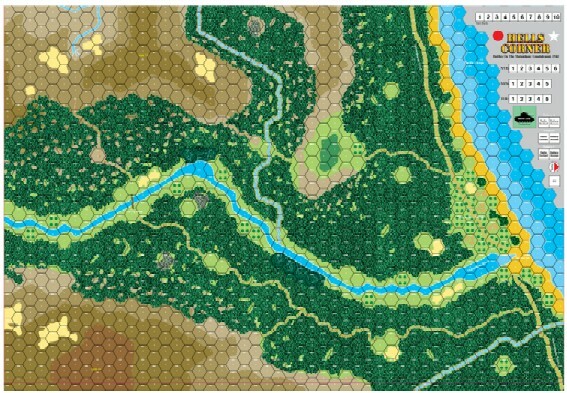 OWT certainly provides that, in spades, especially the relatively small but tense campaign game. Overall, however, OWT was one of MMP’s less successful releases. The original map had significant printing problems, so much so that MMP had to have it reprinted. Even fixed, the map (confusingly titled Edson’s Ridge rather than Operation Watchtower) is problematical because it is so large–it should have been cut into two maps. 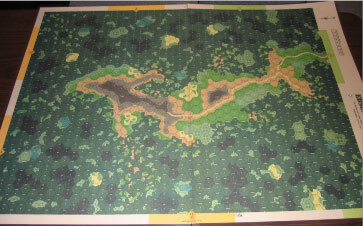 It is the largest single official ASL map, though needlessly so, and may not fit on every gaming table. Some ASLers were not very happy about the scenarios, either; many of them are night scenarios, and quite a few of them use a large number of overlays (one uses a very large number). Moreover, some of the scenarios have been revealed over time to be quite unbalanced–in particular, HS4 (High Water Mark), HS7 (We Know Where They Are), HS10 (Government Property), HS 12 (Chesty’s Turn), and HS 16 (Sims’ Ridge). However, one scenario, HS 15 (Hill 27), has become a classic. Two of the scenarios are actually reprints of scenarios previously published elsewhere; HS3 (Tasimboko Raid) originally appeared in an ASL Annual, while HS9 (Ambitious Plans), originally appeared in MMP’s magazine Backblast. 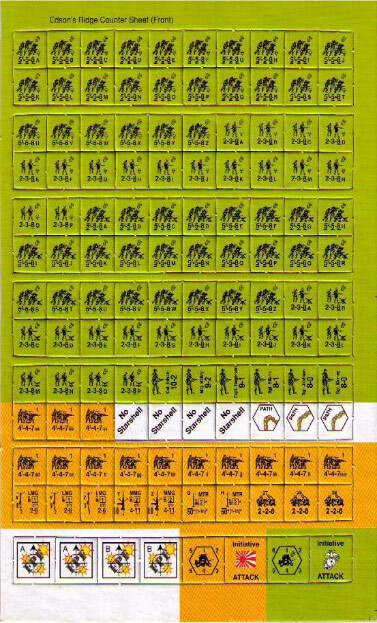 There are 16 scenarios, most small or medium in size (there is no monster scenario). Four scenarios use Night rules. Six scenarios have OBA and two use Air Fules. Five of the geoboard scenarios require the player to assemble beach overlays; it would have been far more convenient for MMP to have included a single custom overlay to use in such instances. HS9 (Ambitious Plans) is a Seaborne Evacuation. Only four scenarios use the historical map and none use all of it. 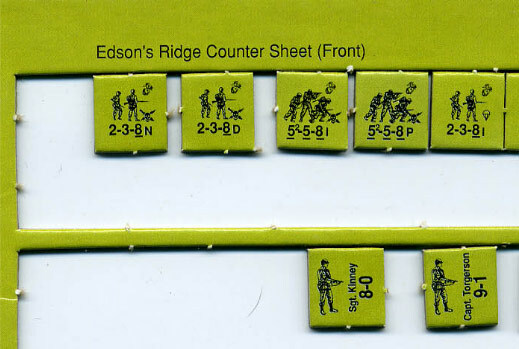 The game comes with one campaign game, ER CG (Edson’s Ridge). It has five campaign dates, three of which are night dates. Unlike a number of the scenarios, the campaign game is pretty balanced and may well be the best bet for enjoyment (as long as players are okay with Night rules). 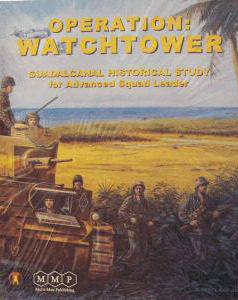 For PTO or USMC enthusiasts, Operation Watchtower is worth getting. For others, this can be lower on your ASL shopping list. Addendum: One of the less well known aspects of Operation Watchtower is that it was originally going to be published by Front Line Productions, the third party publisher that produced Baraque de Fraiture. Designer Nadir El-Farra had actually designed two HASL maps for the project–one for Edson’s Ridge, which made it into Operation Watchtower, and another for “Hell’s Corner,” where the Matanikau River meets the ocean (see map image below). The Hell’s Corner map did not make it into the final cut for Operation Watchtower, to some degree due to a miscommunication between designer and MMP over the number of scenarios that had been created for that map. 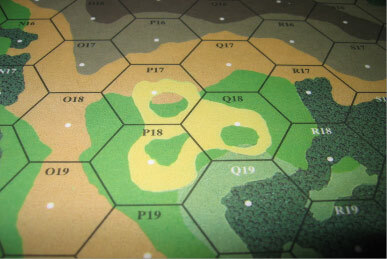 Several of the geomorphic mapboard scenarios in Operation Watchtower were originally intended for the Hell’s Corner map. 2010 Update: In part due to the publicity generated from this entry, MMP eventually did decide to use the Hell’s Corner map, releasing it in Operations Special Issue #3. Another curiosity is not something which wasn’t printed, but something that was printed. Before coming to an agreement with MMP for “official” publication of Operation Watchtower, El-Farra actually printed a small number of copies of a Watchtower countersheet. 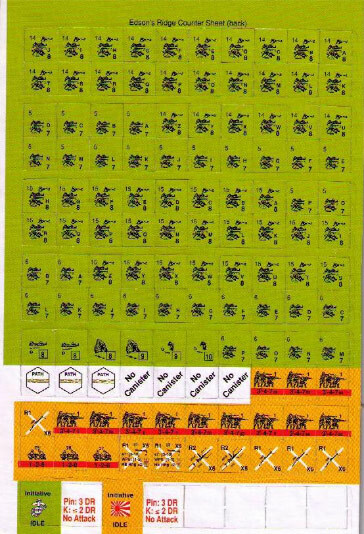 Because MMP ended up publishing the module, these counters were never used but were apparently given away (see images below). This countersheet is one of the true ASL rarities.